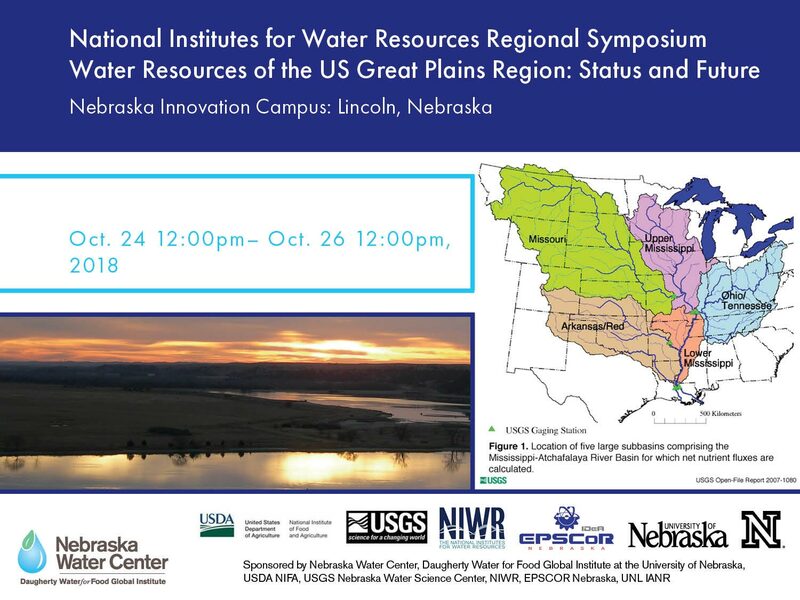 The 2018 NIWR Regional Symposium Water Resources of the US Great Plains Region: Status and Future included talks and perspectives from water leaders in nine states within the Missouri and Arkansas River Watersheds - Montana, the Dakotas, Oklahoma, Kansas, Arkansas, Iowa, Nebraska and Missouri. Directors from the Water Resources Research Institutes of those states shared their unique challenges, and also discussed common ones like surface and groundwater contamination, managing water supplies for irrigation, industrial and municipal use, wastewater reuse, impacts of climate change on water resources, conversion to high efficiency irrigation and maintaining ecosystem services for fish and wildlife within the basins. The symposium also featured a student poster competition with cash prizes and tours of Nebraska Innovation Campus.